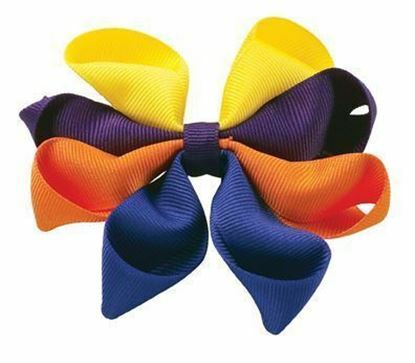 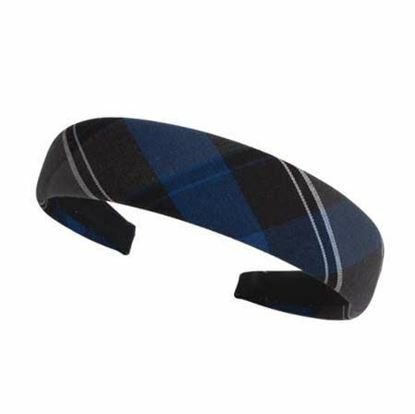 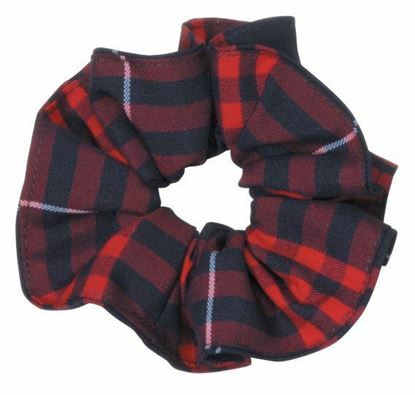 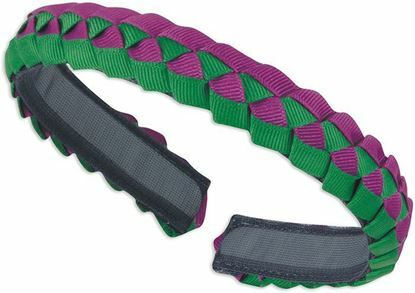 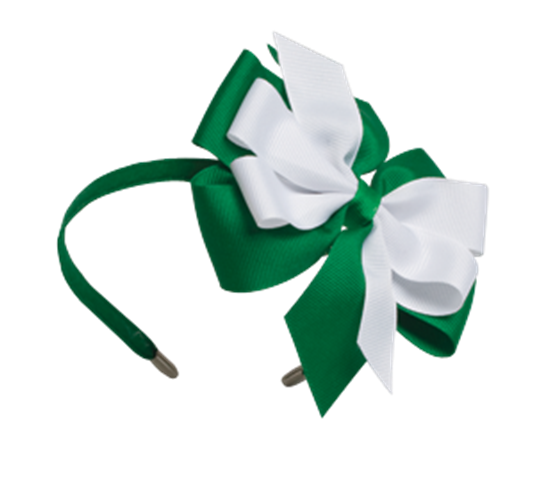 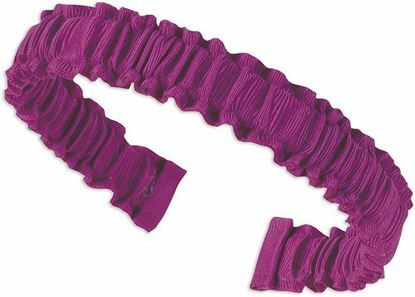 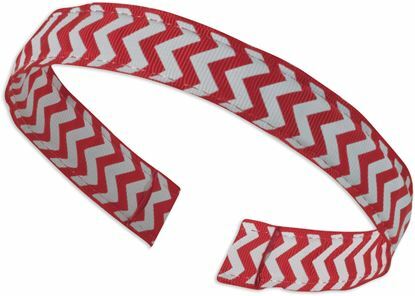 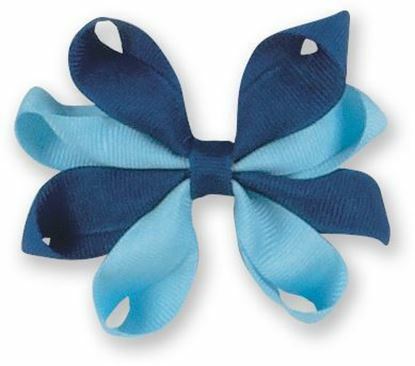 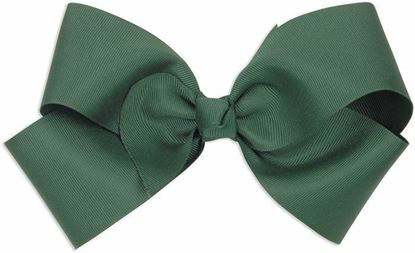 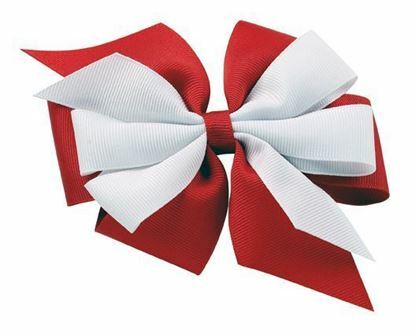 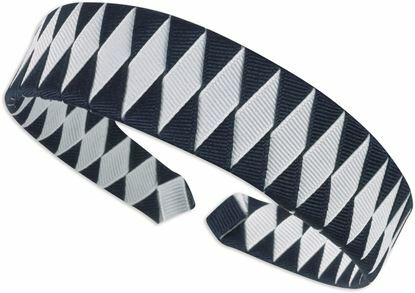 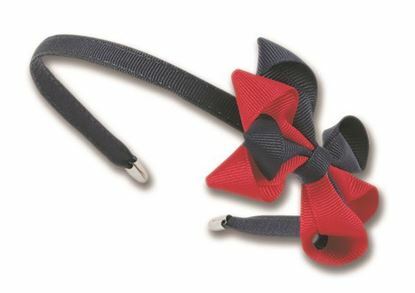 Large 2-colored ribbon bow on headband. 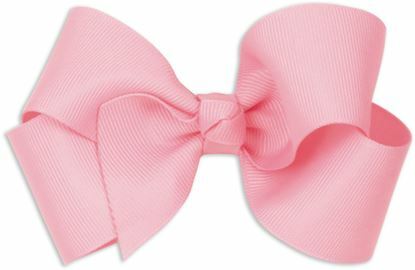 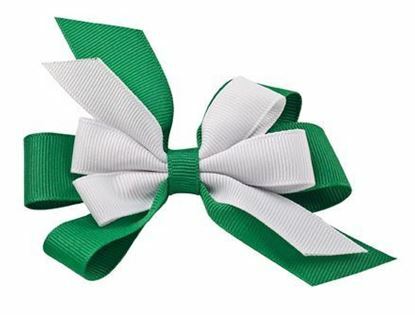 Bow size approximately 5" wide. 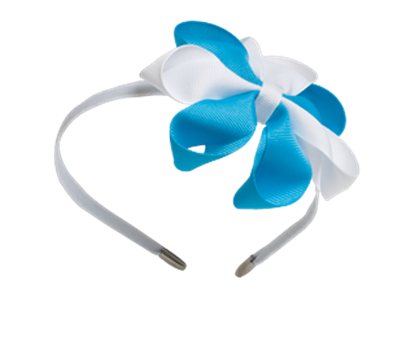 Available without metal end tips.